Hitman really got its groove back in 2016 despite the initial uproar against its episodic format. Amazingly it actually stuck to its schedule (a rarity) and gave us all six main maps (with bonuses) throughout the year: a virtue in this age of frequently delayed, experimental Early Access wild west. So I already said Hitman 2 isn’t episodic, but the format is by and large the same as it was in the last iteration. Sure you get all of the maps upfront now, which is great, but they’re linked together tenuously at best: a modus operandi that may or may not be up your alley. I welcome its return. 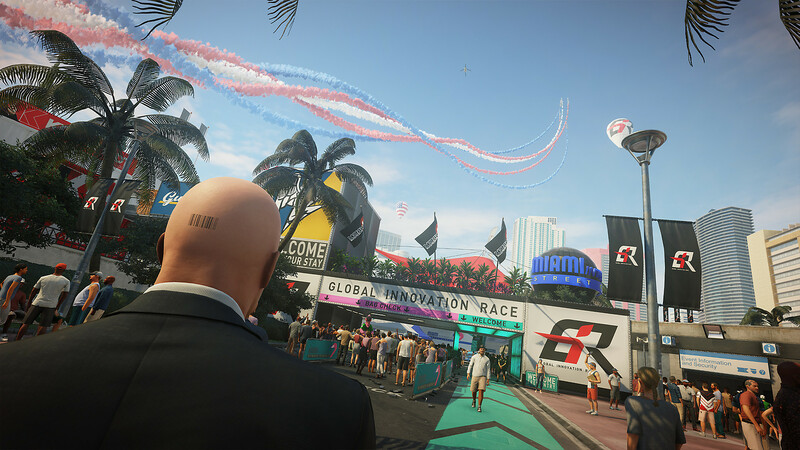 Somewhere along the line IO Interactive just said “screw it” with trying to create this deep-seated lore with Agent 47 and just rolled with the idea of giving us silly, loosely related sandboxes that allow us to slap guards with raw fish. Miami is the epitome of that mentality. It’s bright, flashy, and functional. The open-ended fixture of the last Hitman returns, much to my delight. After a short tutorial (in Hawke’s Bay, New Zealand) you’re whisked away to take out a military goods magnate, who basically moonlights as a tech genius. The aforementioned “flash” is the backdrop of a fancy party at a bustling race track (during a race no less), which provides plenty of opportunities for absurdity. 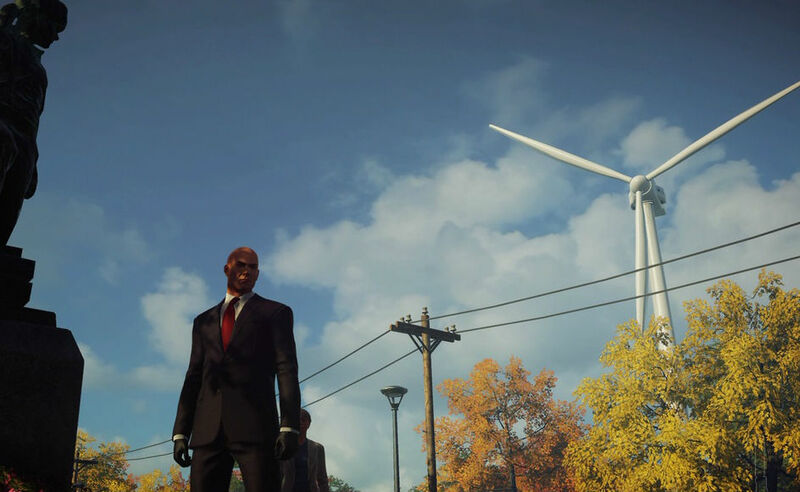 It just feels good to play Hitman again, walking into a job with absolutely no weapons on-hand and improvising with otherwise non-lethal objects. I mean, you can knock out the very first well-meaning guard who frisks you: yes! 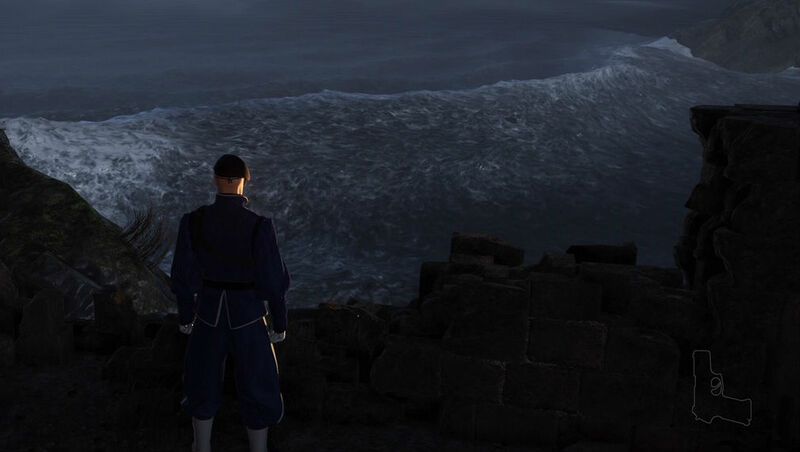 IO Interactive also gets to flex its viral storytelling muscles a bit. As I already made clear, the “shadow agent” overarching framework is fairly generic, but the individual maps have myriad tales to tell. From general vapid banter to the discord between all of the map’s major players (and targets), it’s often fun to just sit and listen. On a technical level, Miami pushes the engine a little further than most maps to date (the vehicle physics are a little janky), but it doesn’t buckle under the pressure. As you enter Colombia to slay a trio of cartel members, the mood change is swift. The lush jungles of the area are a natural follow-up for Miami’s palm trees, but the proceedings are more dour: like there’s a fog looming over the map. There’s still plenty of fun to be had though, like beating on the front gate of a drug kingpin’s compound with a hippo door knocker or slowly sneaking through the (mostly linear) jungle perimeter. While it seems like filler on the surface the compound itself is home to some more nuanced points of interest and a few of the more compelling mini-natures. It works in spite of its simplistic shell of a layout. As Hitman‘s globe-trotting adventure continues it moves into the particularly enthralling locale of Mumbai with an equally gripping objective: you have no idea what one of your kills looks like (try this one on a higher difficulty with all the guides/bells and whistles off). Its intro cinematic describes the streets of Mumbai as “maze-like,” and I’m inclined to agree. As usual, IO centers the map around a few major set pieces (an abandoned train yard, a movie set, and the aforementioned labyrinthine slums), all of which sing. Crowded areas just work so well in these games, as you can use the herd to your advantage while simultaneously divining a way to hide your misdeeds from them. Large swarms also remind us that hey: this is something IO may have wanted to do in the past, but couldn’t because of technical limitations. Another thumbs way up. IO takes another crack at Americana with Whittleton Creek, a stark contrast to the drab and weak Colorado episode in 2016. Not to sound like an HGTV infomercial but having been to Vermont, I can attest to its beauty: it’s not just a random inclusion here. The small suburban town is rife with hilarity, from unassuming citizens having a regular old barbecue to the gigantic wind turbines looming over it all. What I dig most though is the openness of it all, its contrast to some of the busier maps in Hitman 2. You can find your targets here in under a minute, but Whittleton Creek asks you to take your time and smell the [Helen’s Kitchen] muffins, chat with a hopeful homeowner’s association head, and solve a mole problem. You won’t be all willy-nilly killy here either, as there’s an investigation to be had. IO can pack a whole lot into such a small space: the microcosmic change of pace works to its benefit. The final mission is predictably dramatic, taking us to the high seas at one of the “most secret locations in the world.” As cliche as it sounds, the Fort Knox approach allows the island to serve as a challenge map of sorts: appropriate for an endgame. The Eyes Wide Shut motif adds to its allure, as shady ne’er do wells pour in for a chance to bid on illegal goods and services and an entire army guards its riches. This decadence brings to mind some of the high society parties of the Star Wars franchise: a compliment, keeping in line with IO’s ability to lean into the camp and embrace it. 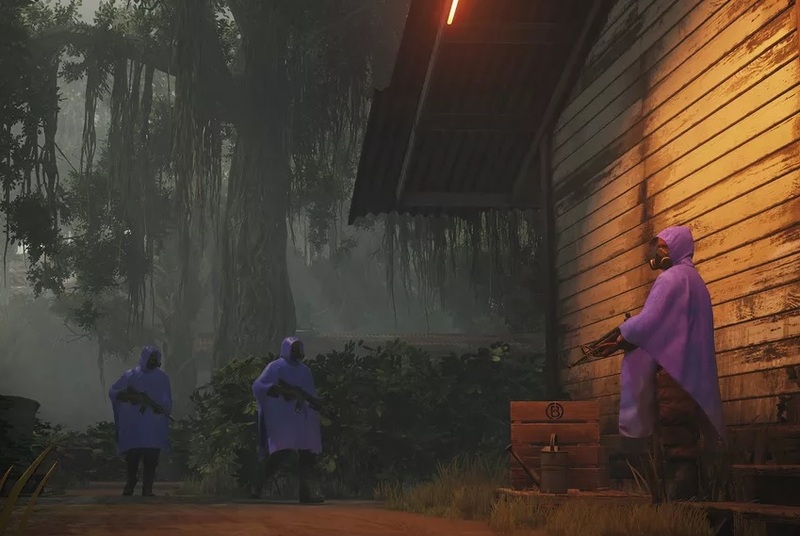 Hitman 2 is a colossal collection of puzzles begging to be solved through multiple playthroughs. It’s meticulous in its scoring system, objectives, and unlocks. Even though this would have worked perfectly as a “season two” for the original Hitman, the need for a new package is perfectly understandable given their situation. I don’t even need the Sean Bean and company timed challenges or the promising now-in-beta Ghost Mode (an asymmetrical gametype where you try to kill more targets than an opponent that exists in an alternate reality): just keep giving me more maps and I’ll keep playing.